Providence Resources has decided to hand in a fresh application for surveys on the site of the Barryroe field following a legal challenge. The Irish Government gave Providence and partners permission on October 8, only for Ireland’s National Trust to issue legal proceedings against the environment minister. The matter initially came before the court on November 20, 2018, but was adjourned by Justice Noonan until December 11. After talks with its lawyers, Providence has decided not to act on the permission granted last month. 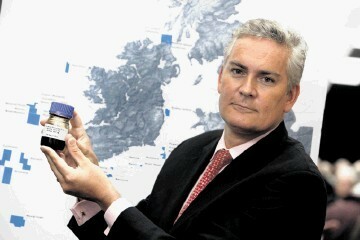 The company intended to conduct the work, 30 miles of Ireland’s south coast, in the current quarter. Partners will now apply for a new consent. They hope to be in a position to conduct the well site survey in spring 2019, ahead of planned drilling operations in Q3. Providence chief executive Tony O’Reilly said: “We are frustrated by this turn of events, especially as we complied fully with all environmental and planning regulations in applying for and subsequently receiving the site survey permission. “However, with the site survey permission now being the subject of legal challenge, combined with delays with the site survey vessel arriving in Irish waters, would have resulted in undue delays to the Company carrying out its proposed activities. “Whilst it is disappointing that this situation has arisen, we felt that it was in the best interest for the overall programme not to act on the site survey permission and re-apply, thereby avoiding any unnecessary costs and possible further delays associated with the judicial review proceedings.